"EatBisonMeat.Com Connecting the World with American Buffalo (Bison)"
From the East Coast to the West Coast, from the Canadian Border to the Mexican Border. Buffalo ranches may be closer than you think. Finding buffalo meat on menus is becoming more common. If your favorite restaurant doesn't offer it - Why not ask them to? America's Original Red Meat. Bison meat also is low in sodium and less cholesterol than skinless chicken. EatBisonMeat.com "Connecting the world with American Buffalo (Bison)." As a national buffalo ranch directory we currently list buffalo ranches located in the United States. We plan on future expansions to include other countries including Canada, restaurants and grocery stores to make it easier for you to find buffalo meat near you. Buffalo meat is sometimes called "America's Original Red Meat" because it was the primary meat source to many of the Plains Indians until millions of the buffalo were slaughtered back in the late 1800's and they nearly became extinct. Buffalo Ranchers are and have always been an important key in bringing the American Bison back from the brink of extinction. Without them the population of buffalo would not be where it is today, around 500,000. 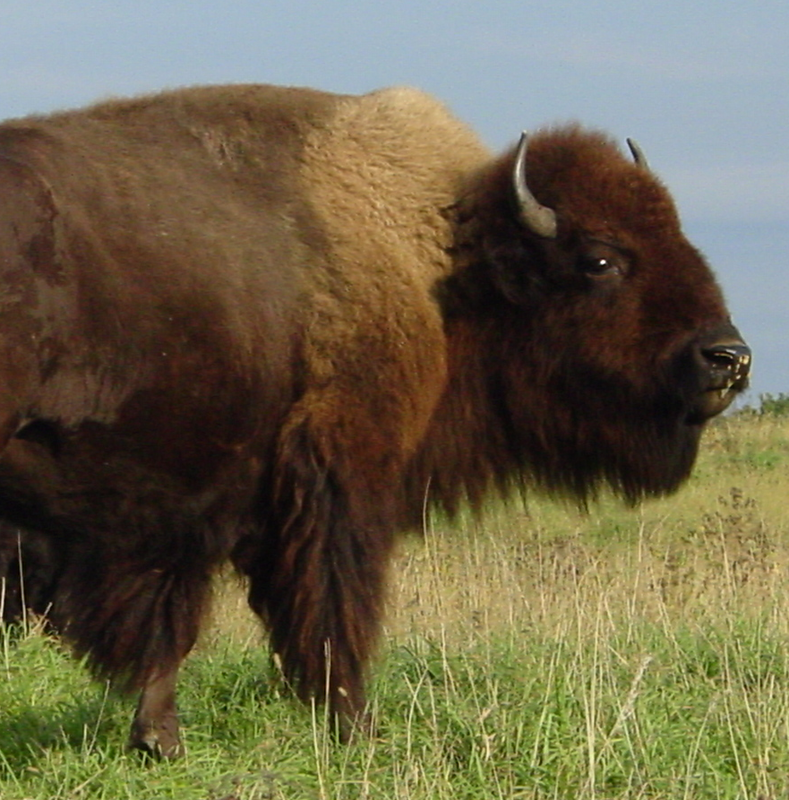 The Plains Indians (Native Americans) worshiped the buffalo, using every part of the buffalo not wasting anything. Some of the many buffalo by-products, beside buffalo meat are clothing (made from their wool, leather or hair on hides), buffalo tallow soap, smoked dog bones, shoulder mounts and skulls both natural and painted. Many of the ranches listed offer these by products for sale along with buffalo breeding stock for sale, ranch tours, and hunts. Search our directory of ranches listed in Alabama, Alaska, Arizona, Arkansas, California, Colorado, Connecticut, Delaware, Florida, Georgia, Hawaii, Idaho, Illinois, Indiana, Iowa, Kansas, Kentucky, Louisiana, Maine, Maryland, Michigan, Minnesota, Mississippi, Missouri, Montana, Nebraska, Nevada, New Hampshire, New Jersey, New Mexico, New York, North Carolina, North Dakota, Ohio, Oklahoma, Oregon, Pennsylvania, Rhode Island, South Carolina, South Dakota, Tennessee, Texas, Utah, Vermont, Virginia, Washington, West Virginia, Wisconsin, Wyoming, to find your local buffalo / bison ranch.